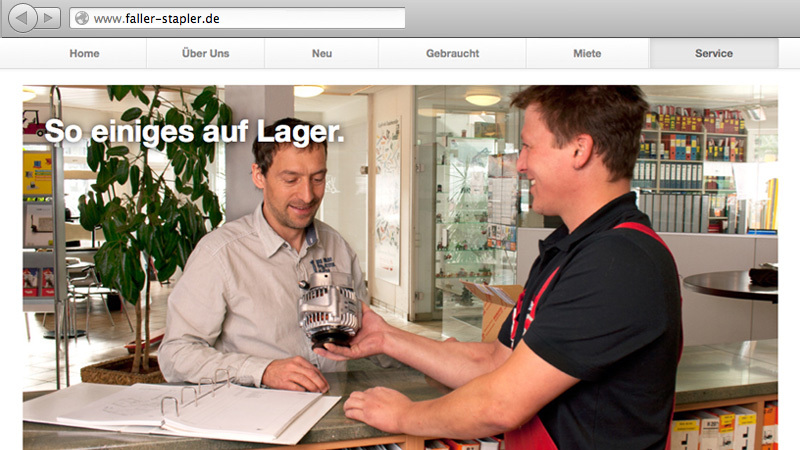 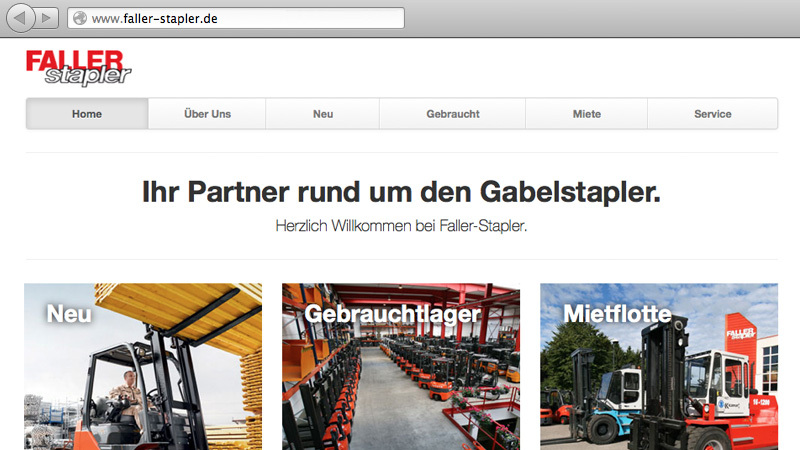 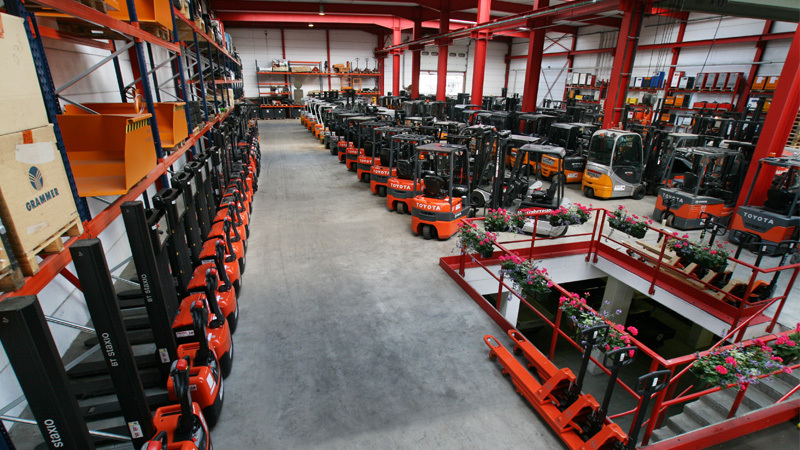 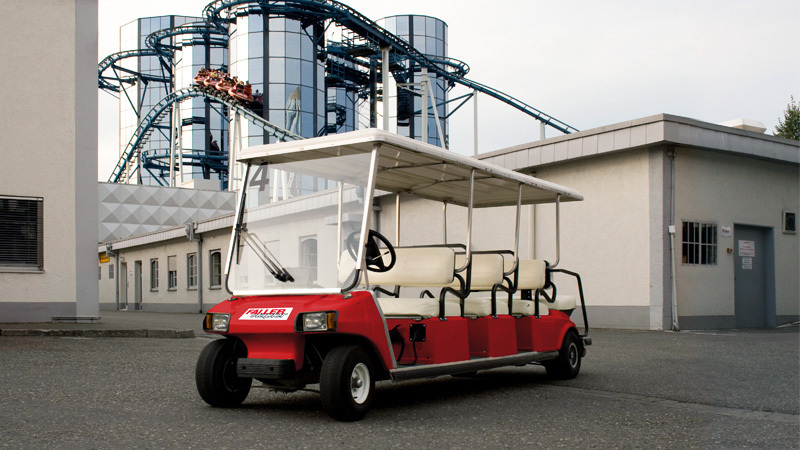 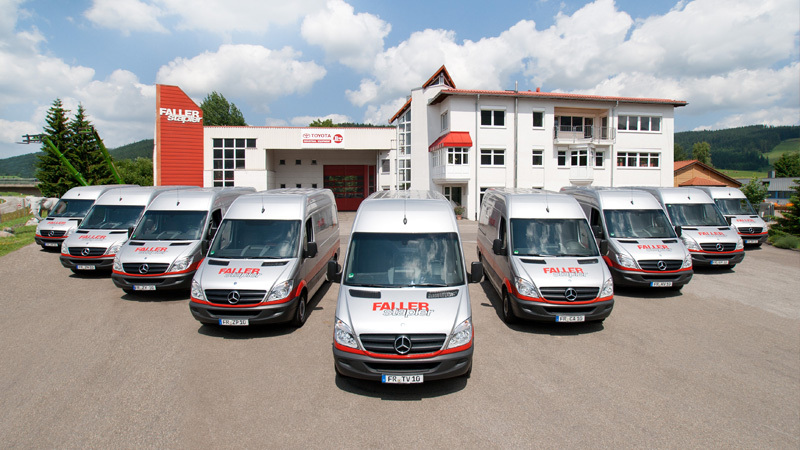 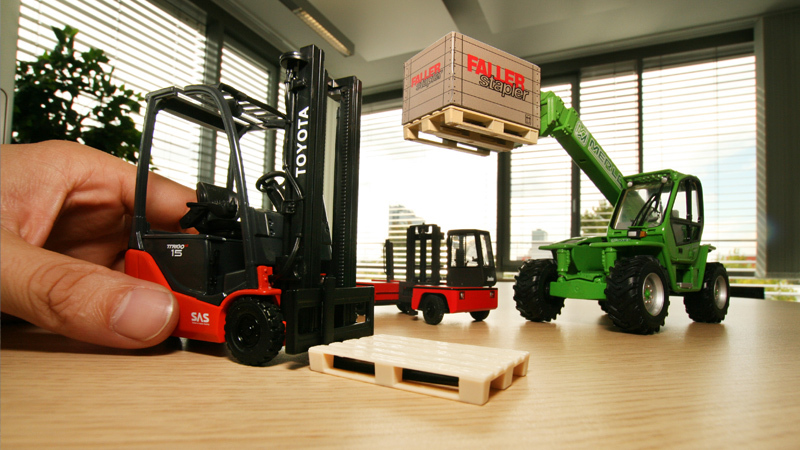 Faller-Stapler is a company that sells fork lifts and storage technologies. 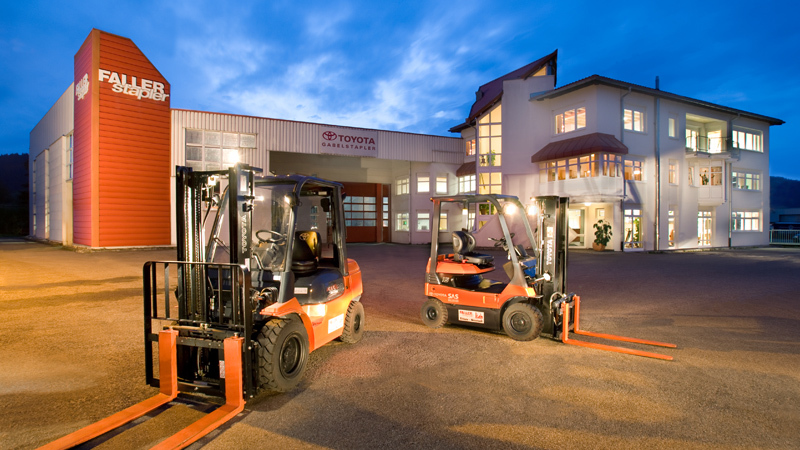 They have about 40 employees. 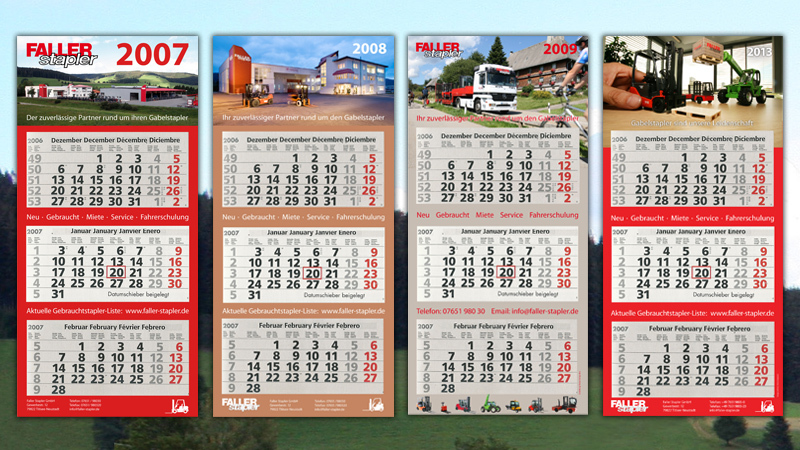 Since 2005 I've been working for them on all things marketing. 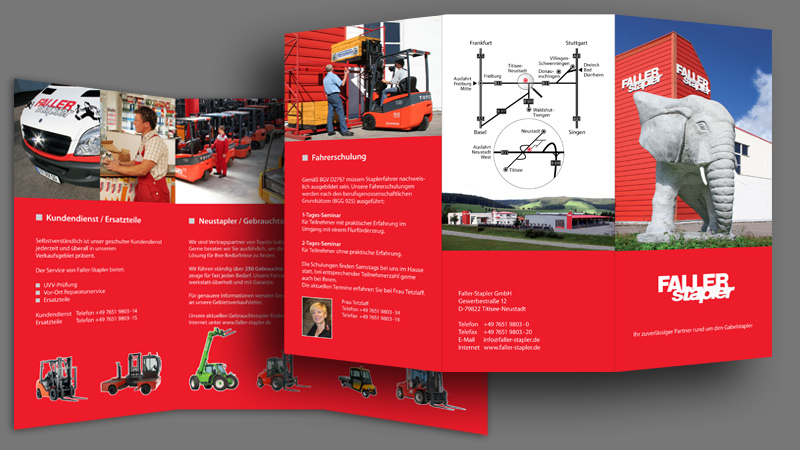 My work: Website, photography, corporate design, truck trailer design, transporter design, yearly calendar, promotional flyers, website, a variety of advertisements, documents, exhibition booth and more.